There are still more surprises on the way! 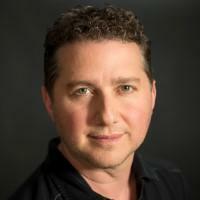 Immersed now has over thirty speakers including Marc Saltzman, esteemed technology journalist and author. Marc is one of North America’s most recognizable and trusted tech experts with a strong expertise in consumer electronics, Internet trends, interactive entertainment, and future technology. Marc has authored sixteen books since 1996 and has contributed to nearly forty high-profile publications in North America. Just some of the brands that have brandished his name include the Toronto Star, Metro, USA Today, AARP, MSN, Yahoo, Costco Connection, and Zoomer. Marc also hosts various video segments on Canadian and American TV stations, as well as the “Gear Guide” video seen at Cineplex movie theatres across Canada. Marc also hosts four radio shows, and the “Tech It Out” podcast. Immersed takes place November 8-9, 2018 at the Ontario Science Centre. Immersed is a MUST ATTEND event for anyone building what’s next in computing and computing content. It’s also a tremendous value for organizations needing to know what’s next for their day to day operation and to streamline their business. Core themes of Immersed include entertainment, education, healthcare, business, and manufacturing. Just SOME of the companies speaking include Intel, AMD, Samsung, National Institute of Standards and Technology, Lenovo, Survios, Microsoft Canada, and so many more. Register at http://www.getimmersed.com.